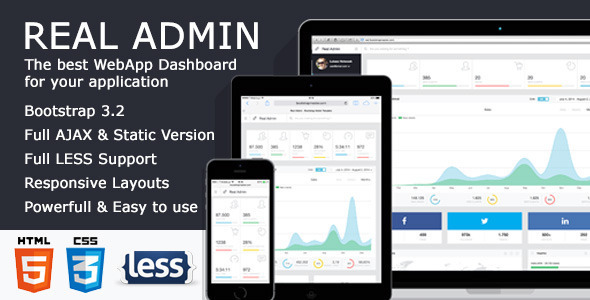 Opacity Admin is a fully responsive template for administrators. It is very lightweight and beautifully designed. 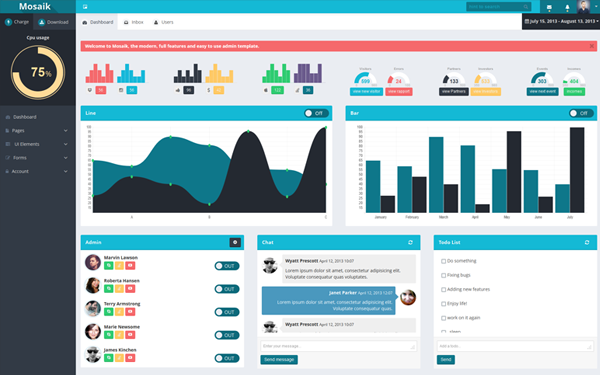 The theme is built on Bootstrap 3 and was carefully put together to join both an aesthetic feel and administrative usefulness. 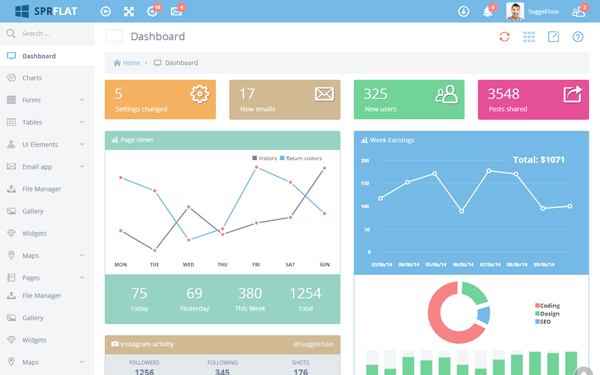 There are enough options and customizations to make Opacity Admin your own. There was a lot of research put into this theme and it will continue to grow as I find more useful and important items to add to it. Designed and written by a professional software engineer and UI designer.